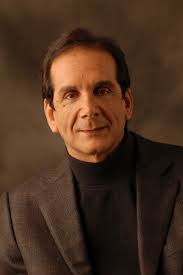 Charles Krauthammer offers his take on President Obama's trip to Cuba in his column at the Washington Post. The split screen told the story: on one side, images of the terror bombing in Brussels; on the other, Barack Obama doing the wave with Raúl Castro at a baseball game in Havana. On one side, the real world of rising global terrorism. On the other, the Obama fantasy world in which romancing a geopolitically insignificant Cuba — without an ounce of democracy or human rights yielded in return — is considered a seminal achievement of American diplomacy. Cuba wasn’t so much a legacy trip as a vanity trip, vindicating the dorm-room enthusiasms of one’s student days when the Sandinistas were cool, revolution was king and every other friend had a dog named Che. When Brussels intervened, some argued that Obama should have cut short his trip and come back home. I disagree. You don’t let three suicide bombers control the itinerary of the American president. Moreover, Obama’s next stop, Argentina, is actually important and had just elected a friendly government that broke from its long and corrupt Peronist past. Nonetheless, Obama could have done without the baseball. What kind of message does it send to be yukking it up with Raúl even as Belgian authorities are picking body parts off the floor of the Brussels airport? Great to know more about him. Thanks a lot.